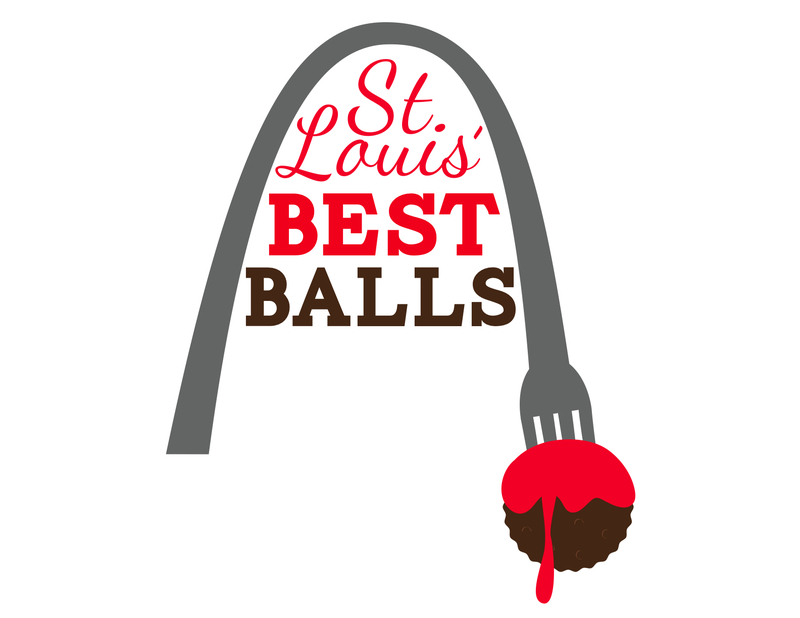 You know I love trying new places to eat in St. Louis... especially when they have balls! This week I am in the midst of buying a house/moving, so I haven't been able to do much cooking. I have gone out to eat a couple times though, and have sampled some terrific balls at new (or new-to-me) restaurants/food trucks. Pictured above are the lamb meatballs with blueberry glaze at Table. Table JUST opened, in fact that photo is from the soft opening. It is the second restaurant from the husband and wife team Josh and Cassie who own one of my favorite places to eat, Home Wine Kitchen. Cassy is the chef at both, and, hot damn, she makes some good food. Table is a community table concept... meaning they have big long tables and you should expect your party to be seated with other parties. This is a fun trend that allows food-lovers to mingle a bit, should they choose. Since Table is super-brand shiny new, it's not cool to review them yet. 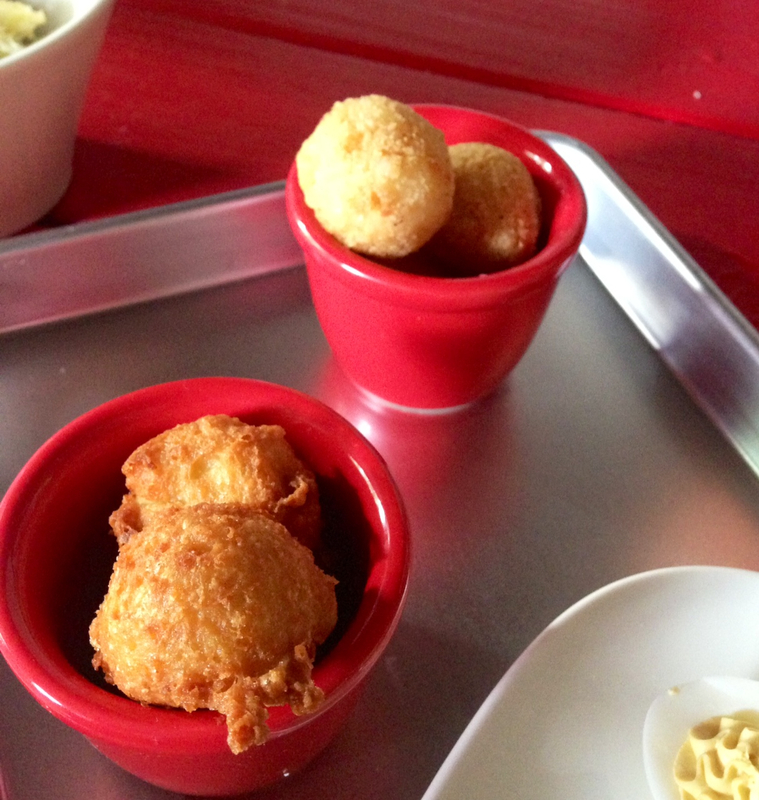 But, I don't think I'm out of line saying that the food I tried was outstanding, and they have several must-try balls. Here are some more of Table's balls... up top are arancini (risotto balls) which were creamy and perfect. below are corn fritters which were served with maple syrup and tasted like corn bread and funnel cakes mated and had a steamy, tender, sweat and savory baby. Yum! Tonight I hit up FEAST Magazine's food truck event Feast in the Park, where I was able to try several food trucks that I haven't run into yet. The first was Deli On A Roll, a truck specializing in classic Jewish Deli meats and sandwiches. 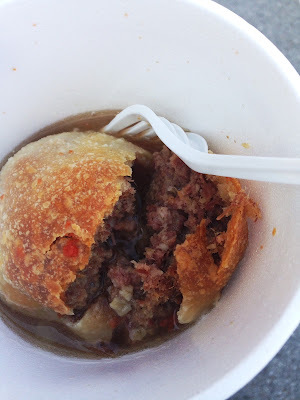 I got the Knish, made by the famous Protzel's Deli chef, which is tennis-ball sized with a sweet crust and chopped meat filling. It was served in a savory puddle of brisket gravy. 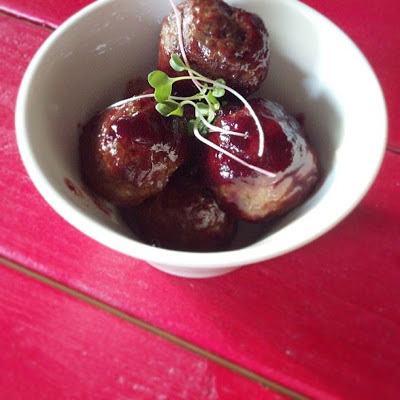 This meaty ball will cure whatever ales you, I'm sure. So good. 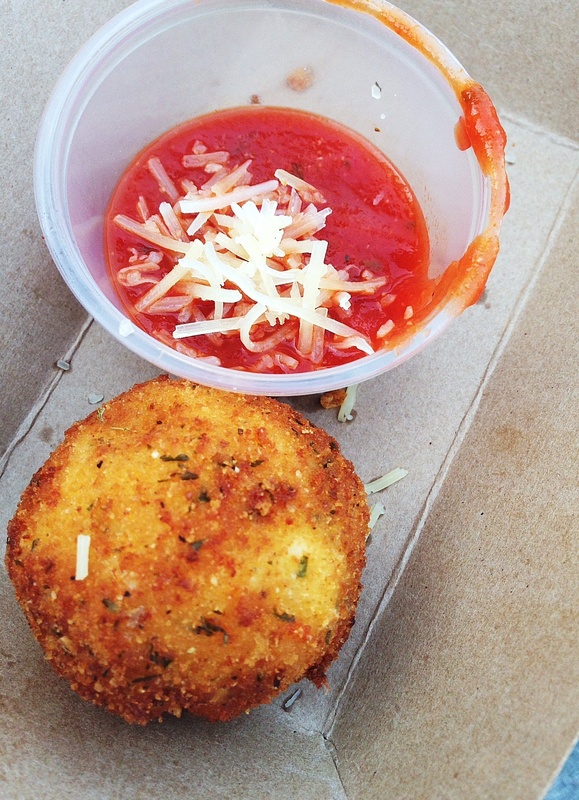 Next up was Cheese Shack, a truck with a full menu of grilled cheese sandwiches and cheesy sides. 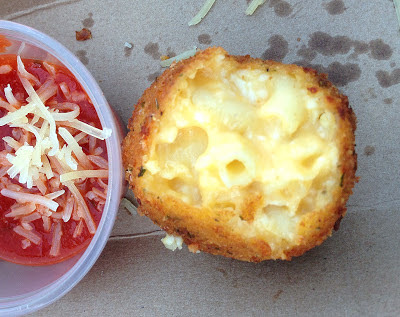 While I'm not the biggest Macaroni and cheese fan (for shame, I know), this golf-ball-sized morsel, fried and served with an oregano-heavy marinara, was good to the last bite! Very hearty and flavorful. I am so happy to see all the balls St. Louis has to offer. Let me know if you stumble across some! I love a good knish ... I think I'm going to have to seek out Deli on a Roll!